In the contemporary world, unprecedented global events are challenging our ability to protect and enhance cultural heritage for future generations. 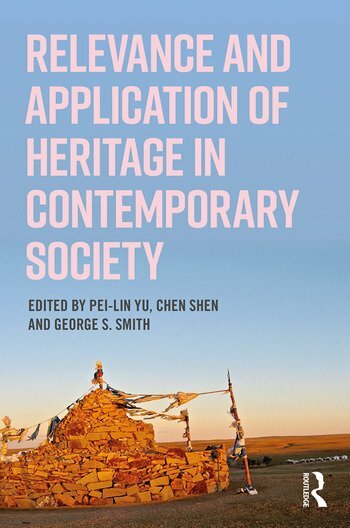 Relevance and Application of Heritage in Contemporary Society examines innovative and flexible approaches to cultural heritage protection. Bringing together cultural heritage scholars and activists from across the world, the volume showcases a spectrum of exciting new approaches to heritage protection, community involvement, and strategic utilization of expertise. The contributions deal with a range of highly topical issues, including armed conflict and non-state actors, as well as broad questions of public heritage, museum roles in society, heritage tourism, disputed ownership, and indigenous and local approaches. In so doing, the volume builds upon, and introduces readers to, a new cultural heritage declaration codified during a 2016 workshop at the Royal Ontario Museum, Canada. Offering a clarion call for an enduring spirit of innovation, collaboration, education, and outreach, Relevance and Application of Heritage in Contemporary Society will be important reading for scholars, students, cultural heritage managers, and local community stakeholders. Pei-Lin Yu is an Associate Professor of Anthropology at Boise State University (Idaho, USA), with twenty years of experience in federal cultural heritage management. She has conducted ethnoarchaeological research in both Venezuela and Taiwan. Chen Shen is a Senior Curator of Chinese Art and Archaeology at Royal Ontario Museum, Toronto, Canada, where he currently serves as Vice President of World Cultures. He is cross-appointed as Professor in the East Asian Studies Department at the University of Toronto. George S. Smith retired as the Associate Director of the National Park Service’s Southeast Archaeological Center (USA) and currently holds an appointment in the Department of Anthropology at Florida State University, USA.